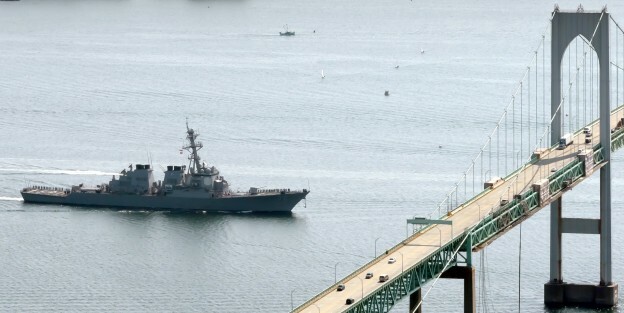 USS Mahan (DDG-72) prepares to pass under the Pell Clairborne Bridge in 2011. The guided missile destroyer USS Mahan (DDG-72) has left the Eastern Mediterranean en route to its homeport at Naval Station Norfolk, Va., according to several press reports. Mahan’s departure leaves four destroyers left to undertake an anticipated limited strike on Syria.